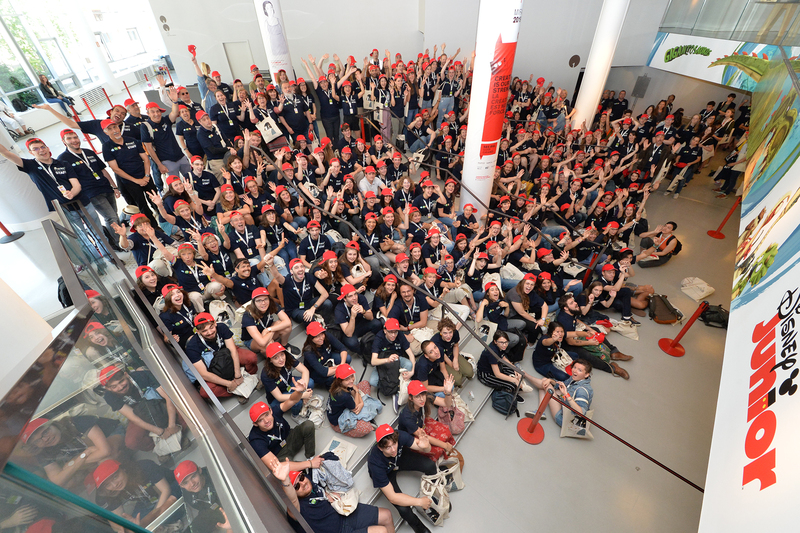 To complete its workforce, the Annecy Festival recruits for volunteers, interns and short-term contracts. Why not apply and join us? Join the energetic team of volunteers! Are you motivated, committed, passionate about animation or film and have lots of energy? Are you interested in the development of the digital economy, images and the creative industries? Do you want to take part in an adventure with other people? If so, why not send in your application to join the team of volunteers for the Annecy Festival, Market and Meetings? Welcoming the public in theatres, at parties, the Mifa and Conferences; ticketing, public information desks… Depending on your availability, you will be given a pre-defined work schedule of a number of hours per day. Take advantage of the occasion to experience an effervescent week in time with festival-goers, while also having a role to play in the organisation of the event. If you would like to confirm a study or professional career choice, see how an international event is organised and you are motivated, passionate and brimming over with energy, why not join the organising team of the Annecy Festival, Market and Meetings as an intern and contribute to the success of the event? Each year as the date of the event approaches, the Annecy Festival, Market and Meetings recruits for different jobs to complete the workforce. Short and longer-term contract jobs are available in the Hospitality, Ticketing, Logistics, Communication, Press Relations and Photo Library departments. Take part in an international event and experience it from the inside. Volunteers, internships, short-term contract holders, are you looking for accommodation? OMyStay puts you in touch with private individuals who are providing accommodation solutions at reduced rates that are reserved exclusively for you! A portion of the proceeds will be donated to the association Les Petites Cantines.